Minecraft players that would also like to learn about electronics by building real working prototypes using electronic components. Maybe interested in the new Piper Minecraft Toolbox that has been launched over from the Kickstarter crowdfunding website. Piper has been designed to allow users to learn about electronics whilst playing Minecraft, watch the video below to learn more about this interesting concept. The Piper Minecraft Toolbox project is currently over on the Kickstarter crowd funding website looking to raise $50,000 pledges to make the jump from concept to production. The creators of the Minecraft Toolbox explain a little more about its features and the way it functions. 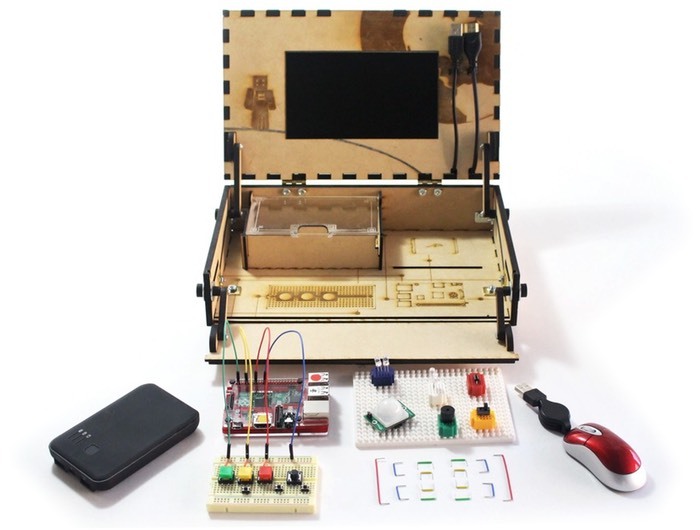 Piper is a toolbox with a Minecraft adventure map that lets you build real electronics by playing Minecraft. It’s simple, fun and for everyone. And we need your support to make it happen. We made this just for you. What Can I Do With It? So if you think Minecraft Toolbox is something you could benefit from, visit the Kickstarter website now to make a pledge and help Minecraft Toolbox become a reality.